Members of local advocacy group Charlottesville For Reasonable Health Insurance provided testimony at the Virginia General Assembly and organized an email campaign, helping to ensure passage of a critical Virginia healthcare bill that will offer some in the area relief from this year’s health insurance premium crisis. Republican State Sen. Siobhan Dunnavant’s SB 915, which represents an important step towards recognizing the need to close the coverage gap and extending healthcare coverage to nearly 400,000 uninsured Virginians, unanimously passed the State Senate on Tuesday. Community hospital leaders highlighted policy priorities for improving the healthcare system during the 2018 General Assembly session and shared eye opening new poll numbers showing that the vast majority of Virginians support helping the uninsured get healthcare coverage. Dedicated frontline healthcare workers, including home care providers, nurses and social workers, will testify at House Appropriations and Senate Finance committee budget hearings across Virginia on Wednesday. Independent Women’s Voice, together with over 40 other groups representing millions of Americans, calls on President Donald Trump to build on the momentum of his successful tax reform effort and return to another central campaign promise: delivering health reform. House Republican Leaders responded to the 16 Virginia House Democratic candidates calling for a European-style single-payer healthcare system in the Commonwealth. U.S. Sen. Tim Kaine comments on Majority Leader Mitch McConnell’s decision not to hold a vote on the Graham-Cassidy proposal before Sept. 30. Virginia House Speaker William J. Howell comments following the announcement that Anthem will remain in the individual insurance exchange in 68 Virginia counties. Tim Kaine participated in a hearing with health care stakeholders where he called on insurers to stop depriving people in rural Virginia. U.S. Senator Tim Kaine raised concerns about the painful effects of health care uncertainty on rural communities in Virginia. 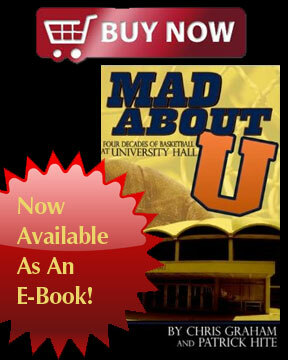 Many people who own or manage healthcare organizations are extremely talented in the area they specialize in. U.S. Sen. Mark R. Warner (D-VA), a member of the Senate Finance and Budget Committees, released the following statement on tonight’s vote. Tim Kaine spoke today on the Senate floor following the news that Republicans once again do not have the votes to pass their healthcare bill. U.S. Senator Tim Kaine released the following statement on the release of the latest version of the Senate Republican health care bill. Virginia Sen. Mark Warner spoke out today against the Senate Republican healthcare repeal bill,. 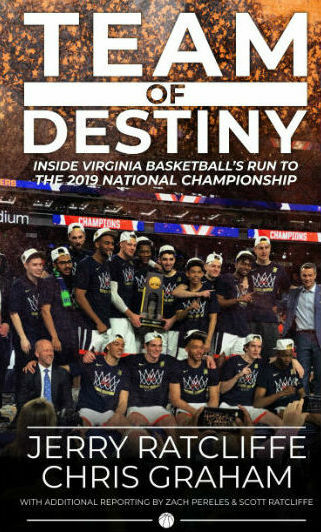 A preliminary analysis of the Senate’s “repeal and replace” bill shows caps in the proposal would cost Virginia at least $1.4 billion over seven years. U.S. 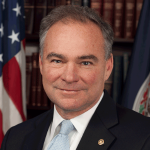 Senators Tom Carper and Tim Kaine introduced the Individual Health Insurance Marketplace Improvement Act to help stabilize the healthcare marketplace. Integer™, known locally as Lake Region Medical, has invested more than $7 million to expand its manufacturing capabilities in the City of Salem. 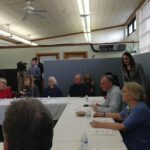 U.S. Sen. Tim Kaine met with a group of health- and senior-service providers Friday at the Waynesboro Senior Center. Sen. Warner comments after the Senate voted 55-43 to confirm Seema Verma to serve as the next CMS administrator. U.S. Sens. 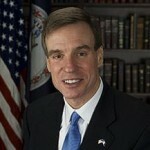 Mark R. Warner and Tim Kaine announced that they are original co-sponsors of the Women’s Health Protection Act. U.S. Sen. Mark R. Warner (D-VA) comments on the Republican healthcare plan. 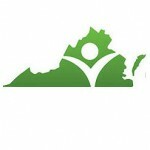 The Virginia hospital community is advocating a do no harm approach to state legislation on healthcare policy. New polling from Mason-Dixon Polling & Research shows strong majorities of Virginians are concerned about the future of healthcare. Sens. Mark Warner and Tim Kaine sent a letter to Speaker Paul Ryan calling for an end to attacks on the nation’s largest women’s healthcare provider. More than a dozen rallies have been scheduled from coast to coast in a major show of grassroots support for critical healthcare programs. The question before us is why is the issue of medical aid in dying gaining so much momentum? And how can we leverage this momentum? The Harrisonburg Chapter of Virginia Organizing will hold a public demonstration in support of the Affordable Care Act. Republican members of the Virginia House of Delegates on Tuesday outlined their legislative agenda to reform healthcare. Healthcare providers, patients, payers, advocates and other concerned residents have partnered to launch the Virginia Coalition to Reform COPN. HHS will award $17,631,822 in grants for various health care organizations, medical research and Head Start programs across the Commonwealth. The Dumfries Town Council is calling on the General Assembly to fully accept federal Medicaid funding to provide healthcare coverage for its residents. About 8.8 million Americans who buy health insurance through HealthCare.gov receive tax credits that help make coverage more affordable. The healthcare sector plays an important role in Virginia’s economy. About 11 percent of all jobs in Virginia are in the healthcare and social assistance sector. Some people would like to think that Americans are healthier and better off with their public healthcare system compared to their European counterparts. Millions of Americans gained coverage or found more affordable options thanks to premium tax credits available through the Health Insurance Marketplace. Virginians are experiencing slower growth in health care premiums, increased access to coverage, and higher quality of care under the Affordable Care Act.